It was Easter week, so lots of holidays and last minute tasks. We mostly did a few small things to prep some slides for a potential EU meeting and updating some of our apps with little changes. There was no EU callback, but it was good that we started to work on some slides in preparation for any meeting. We also spent some time working on a small CRM project. Awhile ago we helped a company here build a small custom CRM tool that allowed them to add the metadata they needed and query it in the way they need. There is a lot of geographic data in the system, so we also have some export tools to more easily get the points on to a map and as an SVG dump for print. We also started to pick-up a new project this week. It looks like we’ll do another small zoomable map website. Working in connection with some students and a small town in the country-side we’ll help them feature interesting and historical aspects of the town. We also sent out our 02018Q1 Newsletter. It was all about emojis and people seemed to really enjoy it. We’ll take parts of it, a few more links and try to get it into a regular article here as well. Also, in the background we started to send more emails and schedule more meetings about the Material Conference this November. This week, we had two meetings about the upcoming Material Conference. The first was to reconnect, chat and get a few introductions and contacts. That was successful and we had a good time learning about a few new Blockchain initiatives being formed here in Iceland. The second meeting was with a local company to talk about how we might be able to work together, both as potential speakers, sponsors and awareness to get them to buy some tickets. We also had a meeting about a potential survey project. It was with an organization working on exploring smell loss. They are still in the early stages and we are advising them about our survey and data collection and analysis experience. The map project also received some funding this week, so that is definitely moving forward. We got a high-resolution version of the map from the designer, so we’re able to make the proper zoom levels. In summary, in the last 3 weeks since Easter, we managed to get three small billable projects that we had not expected. This is an amazing, animated collection of satellite images. It shows the diversity, yet similarities of our landscape. 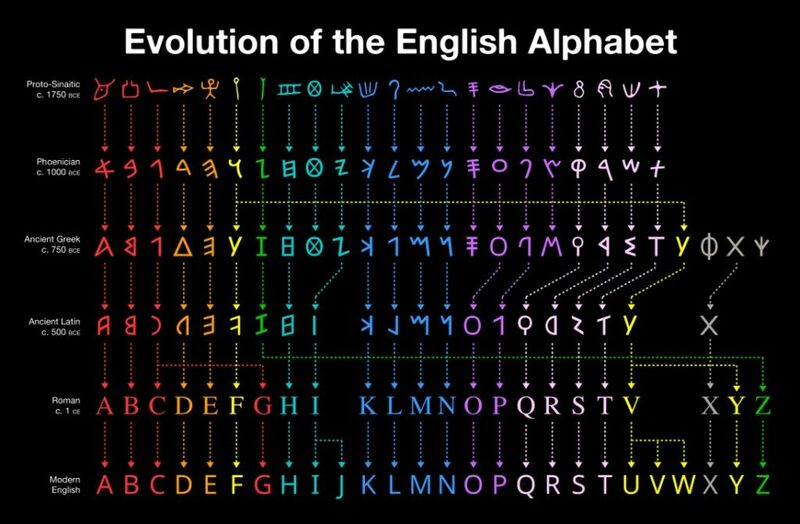 This image came from Useful Charts, it shows the evolution of the english alphabets with all the intermediate ones. It is easy to see the morphing of letters and introductions of new ones. 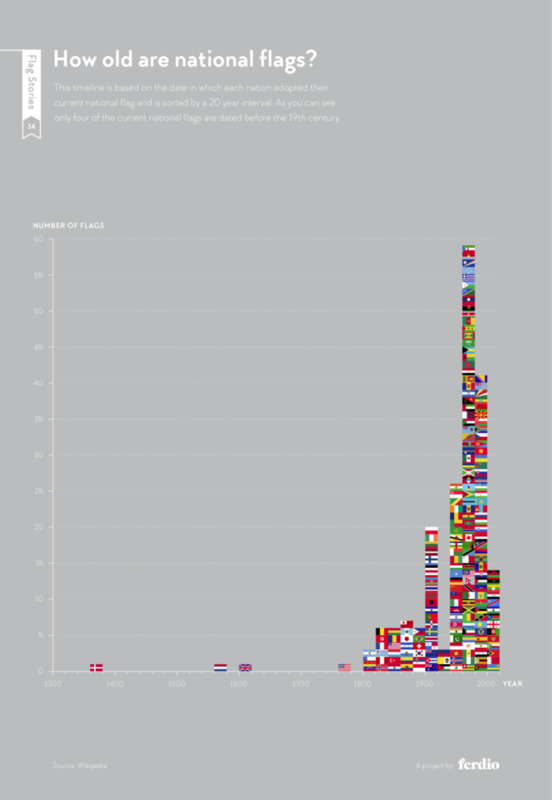 The last visualisation shows the ages of international flags. You quickly see that the flags we have all learnt about, aren’t as old as you’d expect. It feels like a flag is something frozen in time in memoriam, but that certainly isn’t the case.